If you're like most people, the answer to the question above is "not enough!" Don't worry you've come to the right place! 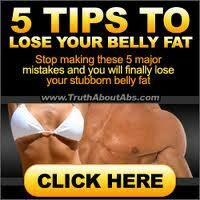 The purpose of this site is to help you reach your fitness or athletic goals as fast as humanly possible. In order to get continuous results in your training, you need to change your workout routine every month, every 2 months at the latest. That's is where this site comes into play, in this website you will find lots of free workout routines for building muscle, losing weight, or your sport, so that you don't have to spend the time every month creating a completely new workout for yourself. All you have to do is bookmark this site, come back in a month and select a new workout. This site is updated regularly with new content and exercise programs. A wide selection of free workout routines specific to your goals, along with explanations as to why they work. Articles on important theoretical aspects of achieving your fitness goals. Nutritional information, charts and calculators. Instructional exercise videos explaining how to perform the chosen exercise for maximum effectiveness and safety. Info on how to manipulate the training variables (reps, sets, resting time, weight, exercise order etc.) to create your own effective training programs. 1. I recommend that you read the article,Change Your Workouts Routines Regularly?. Reading this article and understanding this very important concept will really go a long way in helping you achieve your fitness or sport goals quickly. When you learn WHY something is important, you are more likely to take the appropriate action (e.g., change your workout every month). 2. If you need motivation to workout, read the article My Killer Free Exercise Tips. 3. Go ahead and dive into the site. 4. Immediately after you stop seeing results (maximum eight weeks), come back to this site and select a new workout. Testosterone is the key to building large amounts of muscle mass. Learn how to boost your T-levels immediately. Maximize your time in the gym and your results by taking these ESSENTIAL pre workout supplements. 10 Fun Workouts That Destroys Fat Fast! Melting fat off your body insanely fast while have a blast doing it! Many "experts" say that is not possible to burn fat and build muscle at the same time. This is simply not true. Read on to learn how to achieve this elusive goal. Getting the proper amount of vitamins and minerals is important for health, athletic performance, weight loss, and building muscle. Recent medical research has proven that vitamin D supplementation has a many very significant health benefits, including reduce mortality rates. Here are the top 10 vitamin D studies and what they found. This is one of Arnold's insane 6-day a week torture routines. Try it if you have the time and guts. Push beyond your perceived physical limitations by trying this very difficult 9-week Navy SEAL training program. Free ebook written by my buddy Mike Geary. You'll get his secrets he uses to train his clients, and get them into the best shape of their lives. This is the new section dedicated solely to ab workouts. Sculpt, tone and strengthen the stubborn lower abdominal region with these intense lower ab workouts. Free download that teaches you how to increase your vertical jump. Learn how to lower your cholesterol and improve your heart health. Can you benefit from glutamine supplementation? If your ill, injured or train hard, the answer is likely a resounding yes.